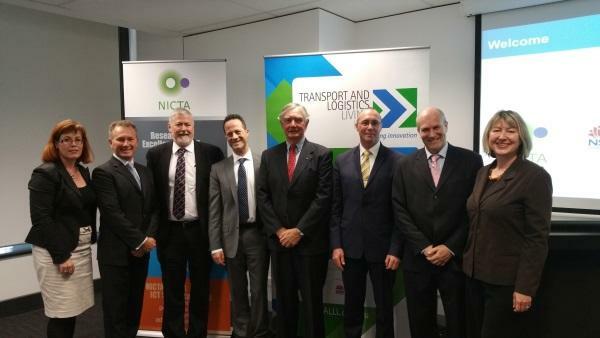 Australia's ICT research centre of excellence, NICTA, has announced a new Knowledge Hub that aims to increase the productivity, efficiency and safety of NSW and Australia’s transport and logistics industry by fostering industry-led collaboration. This new knowledge lab, the Transport and Logistics Living Lab (TALLL) in Sydney, is located at NICTA’s headquarters in the Australian Technology Park in Eveleigh. Minister for innovation and better regulation, Victor Dominello, officially opened the new NSW Knowledge Hub. The Transport and Logistics Living Lab is one of five key knowledge hubs in NSW aimed at driving growth through collaborative industry partnerships in key sectors in NSW and the national economy. It is supported by the NSW Government. “This is the fifth Knowledge Hub to receive NSW government support with an investment of $1.7 million over two years. Bringing together government and industry is key to promoting digital innovation and the Transport and Logistics Living Lab, along with the existing Knowledge Hubs, will do just that,” Dominello said. He added the TALLL features supply chain process prototypes in a demonstration space, providing a central location for collaboration between industry and NICTA’s leading researchers, IT providers, universities, government and regulators, to jointly shape the future of transport and logistics through industry-led projects. It already has a membership of more than 50 industry participants, including large and small businesses and research and industry associations such as the CSIRO, the Australian Federation of International Forwarders (AFIF), the Export Council of Australia, the Australian Logistics Council (ALC), and NSW government including Transport for NSW. NICTA’s transport and logistics living lab leader, Neil Temperley, said the lab will facilitate the connection of a diverse and fragmented transport and logistics industry to bring innovation and best-practice adoption into the sector across high impact factors such as optimisation, information exchange, visibility, traceability, quality assurance and security. “The Australia Logistics Council has estimated that every one per cent of improvement in the productivity of our logistics sector alone equates to $2 billion increase in GDP. If we extrapolate our experience working with supply chain improvement in Australian companies, we believe we can easily achieve that in a collaborative environment. “It will also encourage open discussion into how we can implement new approaches to move goods and people more effectively. This is important since as demand grows, people and goods increasingly compete for access to the same resources such as roads and rail. “By working together and using cutting-edge technologies we can get the most out of limited and constrained infrastructure and thereby keep congestion to a minimum. Our overall focus is to use technology to drive productivity, lower costs, reduce emissions and improve safety,” Temperley added.